Receive a free chapter from the book by subscribing to my newsletter, Kkaivalya. Get regular access to valuable information on meditation that you can use to improve the quality of your health and life. I promise to use it only to send you Kkaivalya. Well, for the much needed inspiration from time to time. When the chips are down and the horizon appears bleak, wise words by one who has walked the path before us, can rekindle the dying fire and set us marching again toward the goal. Like a compass, their words re-orient us when we are lost for direction. They make the obstacles in our path look like stepping stones to the ultimate success we seek. Read these quotes and read them again. Jot them down and keep ready access. Pin them in front of you permanently. Internalise them, if you will. They will encourage you to persist and press-on. 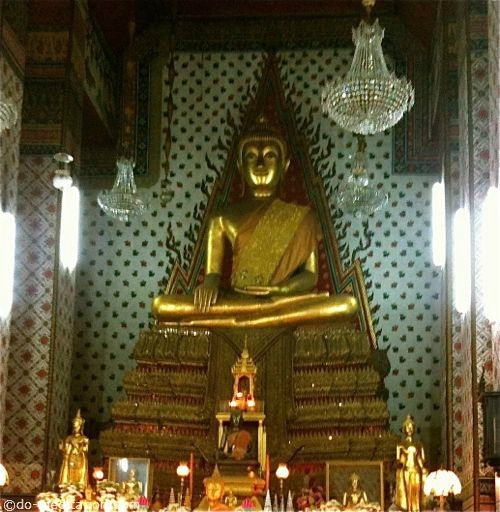 You will find here a large collection of Buddha's quotes, Dalai Lama's quotes , and other enlightenment/buddhist quotes. Although the basic tenets of Buddhism have stayed the same over the centuries, different cultures have developed their own rich interpretations of them. Of the various places where Buddhism is prevalent today, Japan and Korea are two countries that have a unique perspective on attaining enlightenment and that wisdom is encapsulated here as Zen sayings. Osho (aka Acharya Rajneesh), the modern age Indian mystic, was famous for challenging long-held beliefs of every stripe, and whoever came in his contact winded up reconstructing his or her understanding of the physical and mental world. You will find in his words a sense of urgency and a clarion call for immediate action. You can read Osho's quotes here. And before you go, take some time to read the yoga quotes. For most people, yoga is their first taste of meditation, without they even realizing it. The 'simple' physical exercises combined with a deep breath awareness allow people to 'come back' to themselves. Those moments of heightened mind-body awareness lie in the domain of meditation. These meditation quotes will have served their purpose if they make you see your meditation journey as exciting, challenging and stimulating. I hope that difficulties that defeat other people act as stimulants on your path of personal growth and achievement. 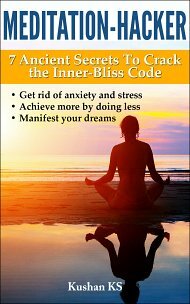 Also take a look at the healing quotes from various practitioners of meditation through the ages. Transcending the lower levels of fear, anger, pride and desire, may you achieve lasting joy, peace and love. 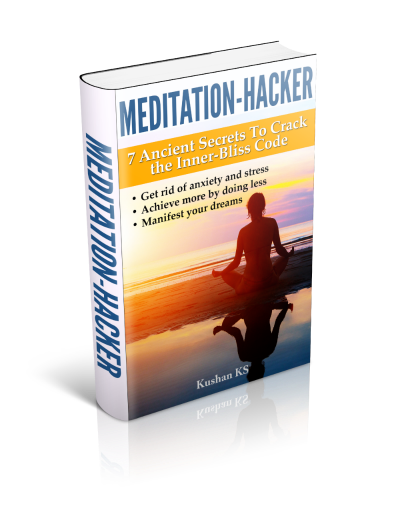 Get a free chapter from my book, Meditation-Hacker: 7 Ancient Secrets to Crack the Inner-Bliss Code and receive valuable information on meditation that you can use to improve the quality of your health and life, by subscribing to my newsletter, Kkaivalya. I would love to hear your meditation experiences. And, if you are a beginner, your questions and apprehensions about meditation. Comment below or contact me directly through the navigation bar on the left of this page. By Kushan KS, Copyright © 2011-2021 do-meditation.com. All Rights Reserved. Copying and stealing is not only wrong, but also bad karma, so please refrain from it.